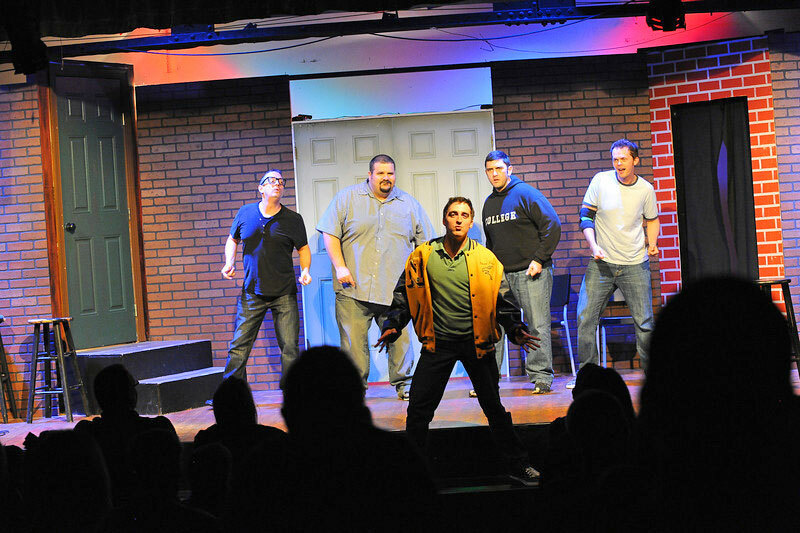 Take in a comedy show with Orlando's masters of improv! on the second floor of CityArts Factory. The SAK Comedy Lab has been making audiences laugh for over 20 years. With a multitude of groups that have mastered the art of improv, every show is sure to be uniquely funny. But shows aren't the only thing that make SAK Comedy Lab so popular. 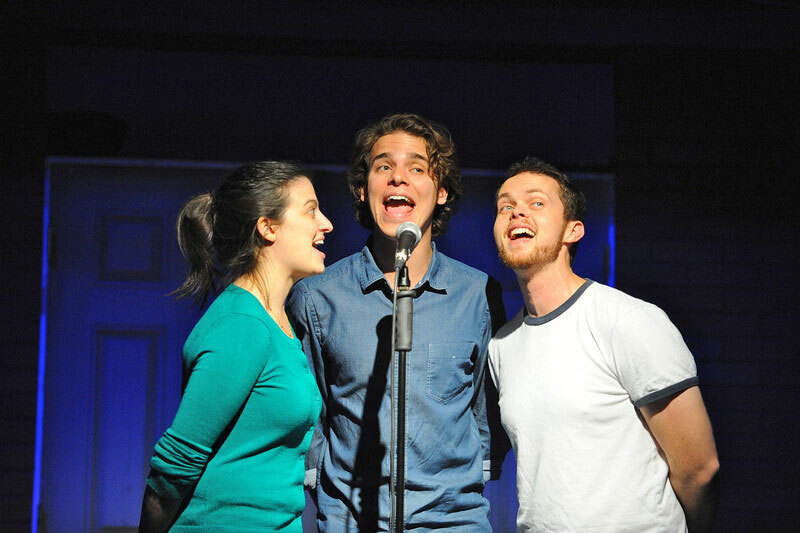 If you want to join in the fun, improv classes are availble to interested parties. Learn from the masters and have a fun time doing so. If you're looking for a team building activity for your business or you want an emcee at your next corporate dinner that will have your colleagues cracking up, let SAK Comedy Lab help. SAK Comedy Lab has been a home to improv greats like Wayne Brady, so the hilarity is guaranteed. The box office opens 45 minutes before each show. A discount rate is available for groups of 15 or more, so call ahead to reserve seats a day before the performance. The box office opens 45 minutes before each show and tickets are sold on a first come, first serve basis. Reservations are held until 15 minutes prior to a show. At 15 minutes until show time, unfilled reservation seats are given to those in a standby line. 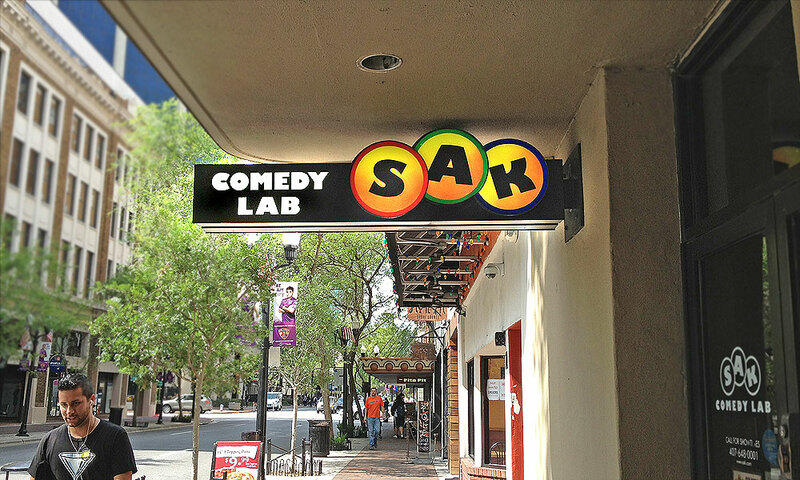 SAK Comedy Lab is located on the second floor of CityArts Factory at the corner of Orange Avenue and Pine Street. You must have an ID to get military, student, senior or Florida Resident rate.